Every Labor Day weekend Auburns, Cords and Duesenbergs head to Auburn, Indiana for their annual homecoming. This weekend we are here at the big Auburn-Cord-Duesenberg Festival in Auburn, Indiana. The Cars-On-Line.com Car Show Team is ready again this year to record this historic event in photos and videos for our readers. This small Indiana town was the biggest hub of automotive production outside of Detroit. The Auburn-Cord-Duesenberg Motorcar Company, which was headquartered here, served as a center of automotive innovation for decades. 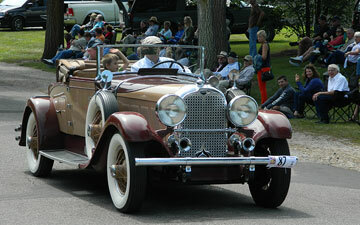 Be sure to follow our coverage this weekend on our Auburn-Cord-Duesenberg Festival blog page. Bookmark it as this page will be updated in real time all weekend. 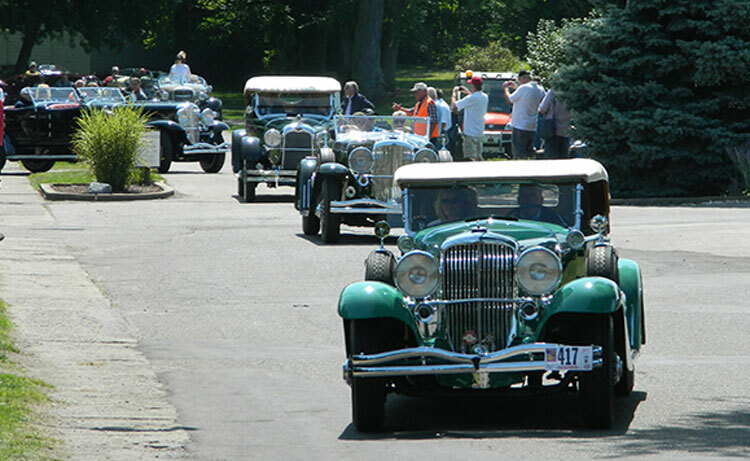 We can't wait for you to see hundreds of vintage motorcars on parade in video on Saturday. You may also find the latest updates on our Facebook and Twitter pages. We will bring you photos and video of the Concours in Eckhart Park on Saturday morning, as well as the Parade of Classics which will follow on Saturday afternoon. If you bookmark our Auburn-Cord-Duesenberg Festival blog page you will get all the updates in real time. Be sure to check back several times over the weekend because we will be constantly updating that page. Not only is this one of our favorite weekends of the year, but it is our readers' favorite car show. The video of the Parade of Classics on Saturday is always "well Liked" on our Facebook page. This weekend at the Monterey Auctions during Pebble Beach Concours Week a 1962 Ferrari 250 GTO sold for $48.4 million at the RM Sotheby's Auction. The actual winning bid was made by an anonymous auction bidder for $44 million. (That came to a total of $48.4 million when you include the buyer's fees for the auction.) A former Microsoft employee has owned the car since 2000, and consigned it to the RM Sotheby's sale during Monterey Week. The record breaking sale boosted RM Sotheby's Monterey sale to a record $158 million in overall revenue. There were bidders from 37 countries involved in this record breaking two-day sale. The competition was intense this year among the top vintage motorcars competing for Best of Show at the Pebble Beach Concours. It is the highest award you can attain in the collector car hobby in the U.S. 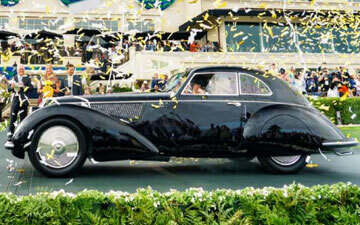 So when the confetti flew over the dark blue 1937 Alfa Romeo 8C 2900B Touring Berlinetta, its Beverly Hills, California owner was pretty excited. Altogether, the Alfa Romeo Touring Berlinetta won four trophies at Pebble Beach this year. Pebble Beach officials tell us there were 209 cars from seventeen countries in the competition on the 18th Fairway of the Pebble Beach Golf Links last weekend. The event also raised $1.8 million for charity. Want to find a car show in your area? Check out the Cars-On-Line.com Car Show Calendar for all the upcoming shows, swap meets and auctions coming up in September. A 1955 Chevy Bel Air Gasser from Harvey, Louisiana was the most popular listing here on the Cars-On-Line.com website this week. It is a new custom fabrication with tubular A-arms, and all new suspention front and back. Built by Jones Brothers Racing, it has a 9.5 to 1 motor with build sheet, TCI Turbo 400 manual transmission, 3600 stall, and Quick Performance 373 posi 9-inch rear end. That there was so much interest in this car this week is a testimony to how much interest there is in Race Cars and Pro Street cars in the market right now. Nostalgia race cars is where its at and people build them to drive on the street. It is a sure way to get noticed. Follow this link to our Classic Customs Section now for more hot deals. 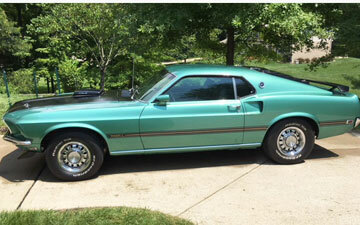 A sharp looking 1969 Mustang Mach 1 from Cincinnati, Ohio was posted briefly last weekend. We had it selected to be a DEAL of the DAY this week, but then we were notified that it was already SOLD on Monday. Gary said it sold in just two days. That was no surprise, though, since it was priced at $25,500. We are only sorry it is no longer available for our newsletter readers today. That Silver Jade color is what made it sell so quickly. Now Gary knows why we always say, "You can advertise anywhere ... but you can sell on Cars-On-Line." Follow this link to the SOLD section below. When you see how effective a Cars-On-Line.com ad can be, you may want to advertise your car with Cars-On-Line. Click here to start your ad today. In 2005, Ford came out with an exotic car as a tribute to the Ford GT-40 cars which won the 24 Hours of Lemans four years in a row. That achievement deserved a retro tribute that is unequaled in production car history. Today one of these incredible 2005 Ford GT exotic sports cars is being offered for sale by Rick Hendrick through his Hendrick Performance dealership in Concord, North Carolina. Only 523 of these American mid-engine two-seater sports cars were built in 2005, making them extremely collectible right from the gitgo. 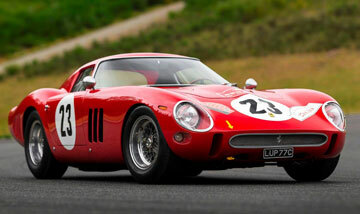 That's why you see them extract incredible prices at collector car auctions all over the world. The innovative design on the Ford GT is unmatched by any American made car. New technologies it introduced include a superplastic-formed frame, roll-bonded floor panels, a friction stir-welded center tunnel covered by a magnesium center console, capless fuel filler system, one-piece door panels and a dry-sump system which allows the engine to sit low in the frame. 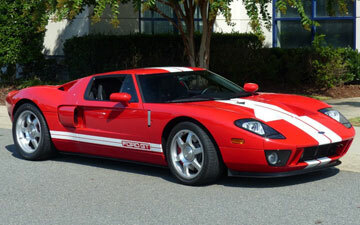 Originally, Ford only thought to produce the retro Ford GT for two years, 2005 and 2006. The 2005's are the most rare. Did you hear this 1968 Mustang GT350 purr in this week's video feature? Watch above or click here! The private seller is located in Richmond Hill, Georgia and tells us it comes with a Marti Report, factory power steering, power disc brakes, 9-inch posi rear, and a Cobra Jet engine all dressed out. It's a Eleanor type Shelby tribute which drives as new. 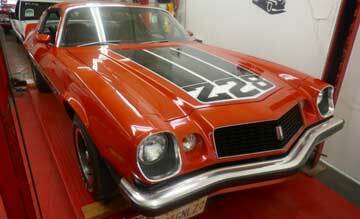 Here's a 1974 Camaro Z28 that's reported as a survivor car with low original, documented miles. Look closely at the ad photographs and you'll have to agree this thing still looks incredible. The black interior shows well too, with no rips or tears. Under the hood beats a numbers matching 350 V8 engine tied to a 4-speed manual. That mileage? Just 16,900. Wow. 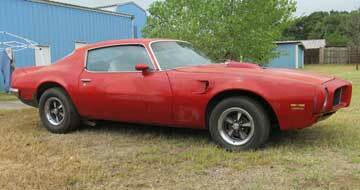 A seller in Fort Worth, Texas just finished tending to some of the work involved with this 1973 Pontiac Trans Am 455. They say it's now rust free and features a no expense spared rebuild of the motor, straight gauges, and more. It's still wearing the original plates and was always a Texas car. 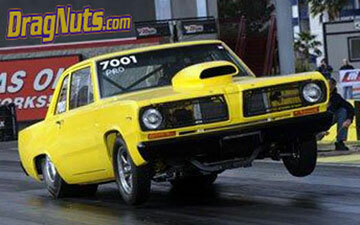 This week the price of a street legal drag car, a 1968 Plymouth Valiant Pro Street, has been reduced by $17,000 to make it affordable to the masses. Be sure to watch the video in the ad to get an idea of how meticulously this car was built to both race and show. The seller says it is licensed and registered to drive. Notice that it is equipped with R3 Mopar block, Indy Heads and intake, Dominator carb and Bullet cam. It was built by Shady Dell Speed Shop in Pennsylvania. It was originally listed for $55,000. But this week they reduced the price to $38,000. Period look with a modern interior. Gray leather int. All steel body. Chevy 327. Camaro Rear end. Mustang front. A/C. Sport Pkg. 350 eng. Bluetooth. Chevy rear end. 350/350. 4-inch chop top. Aluminum head 502 big block Chevy. Cold air. Turbo 400. Fresh int. Pro-built. 350 V8. Frame off resto. See video. Gibbons body. TCI chassis. 5-spd. Charcoal suede. Small block Chevy 400ci. See a long list of details in the ad! Only 4,434 two-owner miles. 6-spd manual. Leather trim. Keyless entry. 17-inch wheels. 1989 Ferrari 328 GTS, Motorcar Classics, Fully documented, One owner. Strong Chevy 350. Show stopper. Custom paint. LS3. Air Ride. Sunroof. Desirable body style. 302 V8. Runs/drives well. Uncut early body. Rare U14 half cab. See video. Wench. LED lights. CB radio and antenna. Fresh resto. 400ci small block. $18,500. Vinyl decals. Mustang II up front. Roaring 350 V8. Turbo 350. Great attitude. Very rare engine optioned vehicle. 455ci. Smooth 39ci 305 hp V8. Auto. Rust free. Red interior. Brilliant chrome. Powerful 289. Flowmasters. Lether seats. Runs well. Presents well. Matching #s 331. Low miles. Dual exhaust. Handles well. Real J code 426 HEMI. See video. 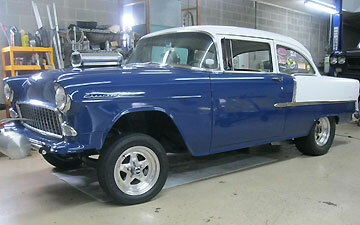 Has a 426 CID HEMI 2x4-BBL HP V8. Car Craft Giveaway car. See video. Code 440-6 pack. Concours quality #1 cond. Only 642 produced. Build sheet. Runs perfect. Matching #s V8. Wood grain int. Show quality paint. Matching 340. Hood scoop. Restored to factory specs. Great docs. Needs nothing. Runs and drives great! Meticulously restored. 4-spd manual. 302 DZ V8. See video. This is an LS5 454ci 390hp big block. 1971 Corvette, Motorcar Classics, Yellow/black. See the photos in the ad! All new glass. Sun tac and gauges. 327ci eng. Muncie M21. Fall Carlisle Auction, Oct 4-6. See more in the Nova Section! Restored. Toploader 4-spd. 390ci V8. 2018 GTOAA Nationals Gold Concours winner. True 5VY 400ci E block. Re-dipped chrome. Air conditioning. Power disk brakes. Straight, solid, rust free. Original 350 V8. Loaded with factory options. Matching leather int. Rebuilt trans. Frame off. 350. 4-spd. Nice paint. Rust free. Original 265 power pack V8. Fully loaded. C4 auto. Ford 302ci V8. Charcoal Black interior. Programmable key. Just 9,193 miles. 500 hp supercharged eng. Supercharged 6.2L V8. Tremec 6-spd. 1996 Porsche 911 Carrera, Motorcar Classics, Get details in the ad! Full S-10 chassis. New wiring. 350/350. New GM crate 350. Turbo 400. Frame off built restomod. See video. Wait till you see the engine! Dark wood bed. A/C/ Turbo 400 Auto. See video. Has a 350ci. Affordable classic Stude. Chopped and lowered. 347ci V8. See video. Fully restored to stock. Wood bed. Solid. Rust free. 400 small block. Documented with build sheet and Marti Report. Ground up build. See video. Cottonwood Green looks miles deep from every angle. 1967 Camaro, Streetside Classics, Great colors, 454ci, A/C, Fun ride! Nicely built 289ci. New Vintage A/C. Emberglo exterior. Rare color combo. Factory warranty. Showroom new paint and body. Clean and affordable. See video. Has a 351ci eng with polished aluminum dress. Has a 327 under the hood.. Smooth 4-spd. Black leather int. All systems work. Power steering. Altered wheelbase AFS drag car. Lots of new parts and upgrades. Only 3k miles. Rebuilt 1641cc. See video. Great colors. Wood dash. Wood steering wheel. CoA included. See more photos in the ad. Only 17,188 actual miles. Docs. Manual trans. Momo steering wheel. Older resto. Dual carbs. Detailed eng. Put the petal to the floor and feel the wind in your hair as you cruise along in this 1969 Pontiac Trans Am Convertible from Classic & Collectible Cars of Las Vegas, Nevada. 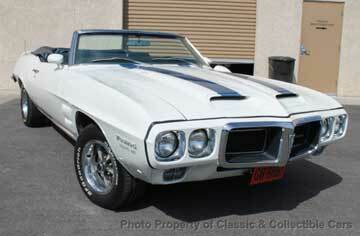 It features a 455, Tremec 5-speed manual transmission, bucket seats, and a TA Ram Air hood. This Trans Am tribute is undeniably gorgeous. As the muscle car era was drawing to a close, some of the best Mopar designs were hitting the streets. 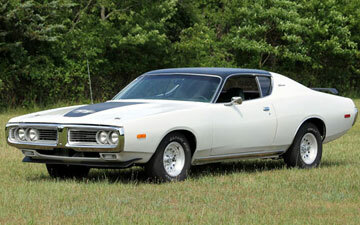 This 1972 Dodge Charger is a great example. The maturity of the Mopar muscle car design is evident in every line and curve. 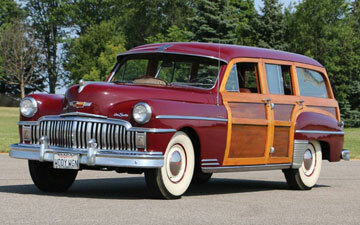 The seller from Beachwood, New Jersey says this one is a "wonderful driving car." He indicates that it still features its original 318 ci V8 engine which was rebuilt 18k miles ago. It has an Edelbrock aluminum intake with Edelbrock 1406 carburetor, electronic ignition, factory exhaust manifolds into dual exhaust, and a rebuilt 727 automatic transmission. He says the body has been restored by an expert. It will be our DEAL of the DAY on Saturday with an asking price of $17,900. Get one before the prices go up on these beautiful muscle cars. Here is a very desirable Chevy muscle car which may be a bit of a project for some buyers, so read carefully. 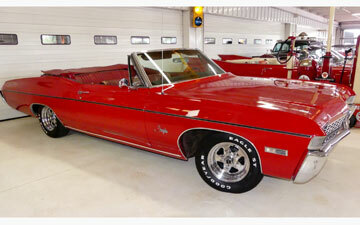 This 1968 Chevrolet Impala Convertible is being offered for sale by Cruisin' Classics in Columbus, Ohio. They say the car looks so good in the photos that they want to stress the things which may need attention. They warn that the interior seats, front and back, have obvious tears. Passenger side door and front quarter (bottom) has obvious scraping. The paint was not applied properly so while shiny, upon close inspection will reveal that it is not show quality. They call it a "ten footer." There is no gas gauge. The boot for the convertible top is in decent shape but missing snaps to secure it properly. In other words, it is in used car condition, not a show car classic. But the price is only $14,995. Classic Off-Road vehicles are a raging hot trend in today's collector car hobby. 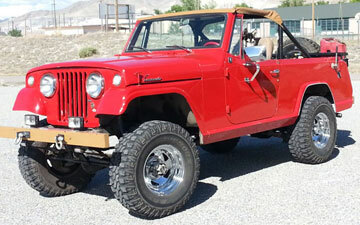 So we are happy to see vehicles such as this 1967 Jeep Commando being listed at very affordable prices. Now it should be said that this one has a lot of important updates already done, but it does need interior work. It has a 225 ci V6 engine with electronic points, a removable top plus a Bikini top, 4-point roll bar, VDO gauges, and custom fuse block and wiring. Of note, the custom front bumper is a tow bar, and the 15"x8" chrome directional wheels are wrapped by 32"x11.50 Maxxis Big Horn tires. It also has dual exhaust with turbo mufflers. It will be our DEAL of the DAY next week. They are only asking $13,000. In 1993, Corvette came out with their Ruby Edition 40th Anniversary Convertible, and there had never been anything else quite like before it in the new car market. It was born to be collectible. This one is being offered by a collector from Sparks, Nevada. He says it only has 48k miles. 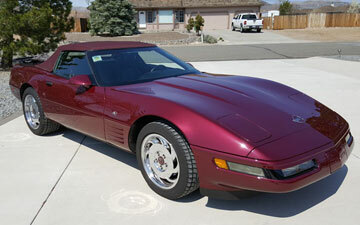 The Ruby red color with the Ruby canvass top is a special combination known only to this special edition Corvette. The private seller says it drives like a dream. And I can't ever remember one of these special Corvettes ever being offered for such a low price. It will be our DEAL of the DAY next week with an asking price of $17,500. This week an interesting little hot rod showed up in our Street Rod Section. 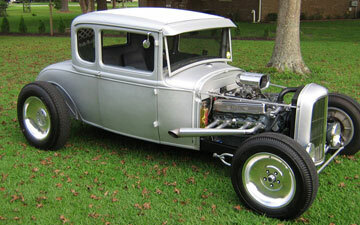 It is a 1931 Ford Coupe offered for sale by a hot rodder from New Bern, North Carolina. He says it runs and drives great. The build is interesting because it is obviously channeled and low to the ground, but does not look like it was chopped. It must be interesting to drive. The enigne is a 401 Buick with 400 switch pitch trans, brass works custom radiator with built-in elec.fan, 8-inch Ford rearend and 350 gears. The new blue interior has a '32 dash insert with heat and wiper. He says it has all new tinted glass, and the rear window rolls up and down with the actuator in the rear deck lid. If you think there is a lotta' potential here you will be please to know that the asking price is only $28,000. 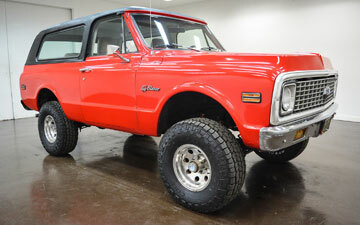 This 1972 Chevy K5 Blazer looks really sharp in the photos. It is being offered for sale by Classic Car Liquidators out of Sherman, Texas. 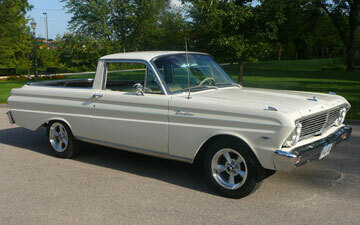 They follow the hot trends in the market and know that K5 Blazers are really popular right now. This 4X4 with the lift kit has a lot of the right equipment: removable hardtop, roll bar, Rough Country shocks, 350 Chevy small block with Edelbrock aluminum intake and carburetor. It has a center console, power steering, power disc brakes and dual exhaust. Classic Car Liquidators has done it again. They have come up with a hot trending off-road vehicle at a very affordable price. They are asking just $14,999. "Great! I will do it again," said Gary after selling his 1969 Mustang Mach 1 just 2 days after placing his ad!!! Here's another fast sale thanks to Cars On Line. Ron from Garden Grove, California posted his 1966 Lincoln Continental Convertible using the $45.00 Run Till Sold ad and boy did it sell fast! 3 Days was all it took to find this Low Rider a new home. Jim from Boxford, Massachusetts SOLD his 1962 Chevy Impala SS Convertible. "Great service over the years! Very happy!" 1971 Dodge Super Bee 1989 Jeep Wagoneer 1962 Impala SS Conv.